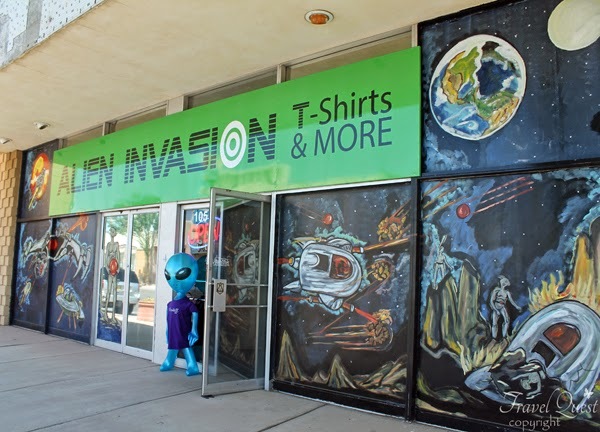 We highlighted our trip through the Southwest by stopping in Roswell, NM. 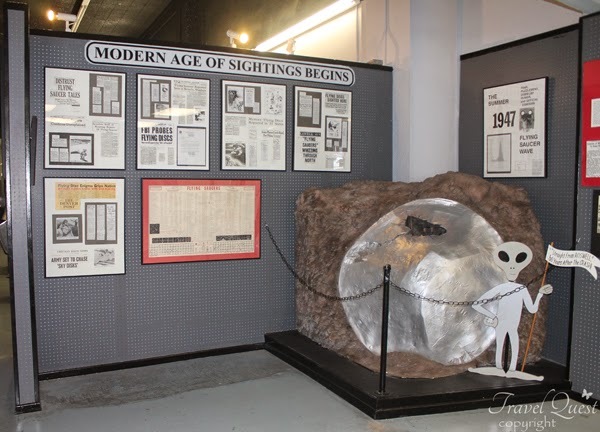 As many people know, Roswell was the site of an alleged UFO crash in 1947. It is also close to White Sands Missile Test Center and where nuclear bomb testing was done during WWII. So if there is any place UFOs would visit, it must be here! 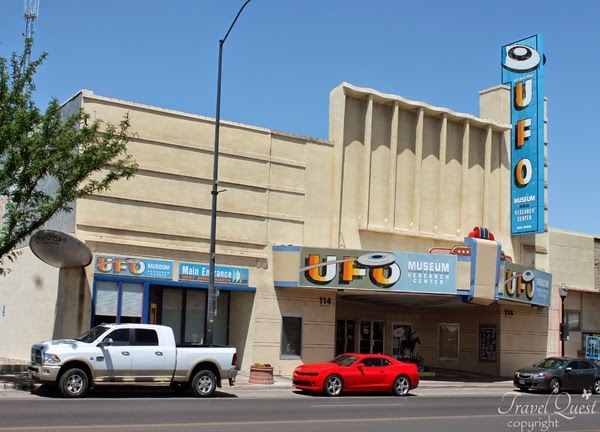 The UFO Museum and Research Center is privately owned and operated. It is easy to find and is fun to walk through either alone or with a friend or group. The fee is only $5 per person with discounts offered for military and others. The staff is friendly and helpful. The museum is quite interesting. One could easily spend 2-3 hours there or more depending on if you go to the library for some research. 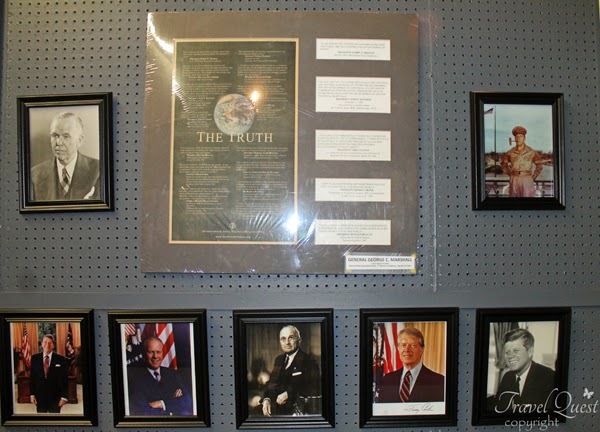 The exhibits range from cheesy mock-ups of life size aliens to very interesting and thought-provoking documents, theories, and quotes from astronauts, scientists, and even US Presidents. So it has something for everyone. The gift shop is pretty good and has a wide range of items that are not overly expensive. Remember that this is a private museum that doesn’t receive government support. I highly recommend that if you are in the area then you should stop by for a few hours. Photos are allowed. You will be amazed at some of the information and you probably won’t forget your visit. Museum Hours: Open from 9:00 AM to 5:00 PM Seven Days Per Week. 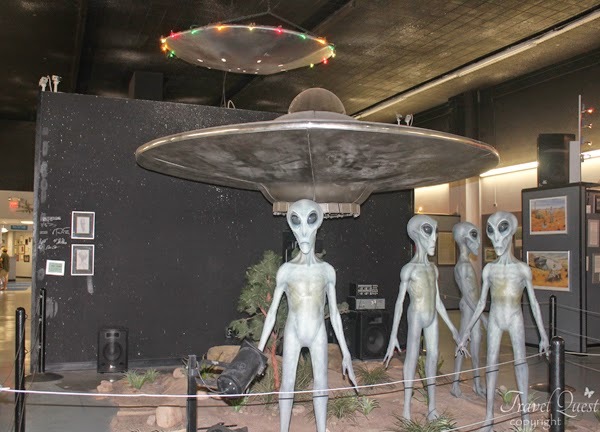 Animated alien and flying saucer display at the UFO Museum. Presidential who believe UFO do exist. since my high school days, I always fancy UFO stuffs. 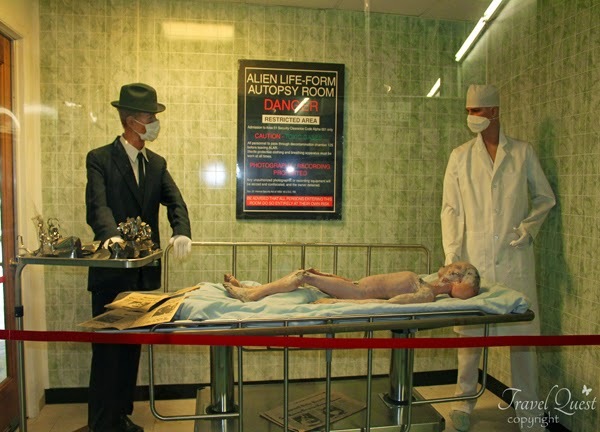 I've read much about this Roswell incident. If ever I set my foot in US of A, so sure pupuntahan ko ang Museum na ito. That is a nice museum to visit! You can really never be sure that there are no other life forms in outer space. I want to believe there are really aliens but I sure wish I do not see any of them! Scary! I'm so fascinated with stories of aliens and UFOs. I wish to visit this museum someday. My son would love to see those displays! 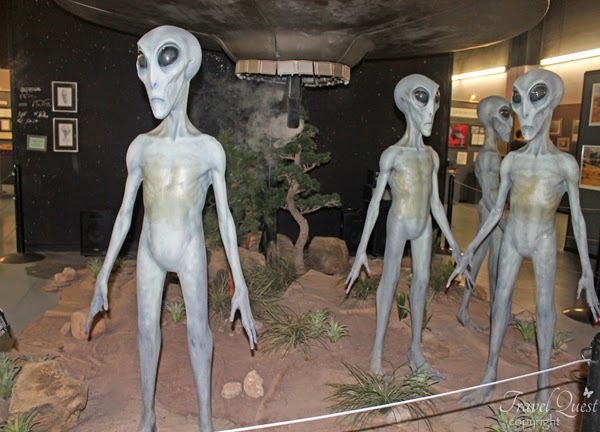 Would definitely check out the museum if we ever find ourselves in Roswell. I've been intrigued by UFOs too since I was younger and love watching documentaries proving or not their existence in the universe. Roswell. So ito siguro yung naging concept talaga ng TV series before entitle "Roswell" I think I was in my HS days when I watch this or early college. One of my fave tv series pero hindi ko natapos. Katherine Heigl was one of the Alien who live like human sa mundo natin, at pinaka-abang-abangan ko talaaga yung character ni Jason Behr (Max Evans) na isang ding Alien na nagkagusto ki Liz Parker...and the bad boy elusive alien na si Michael ata name. hahaha..hindi ko naman talaga masyado naalala no? hehehe. Naniniwala ako na may Alien nga siguro. It's a tad scary but I would love to see this museum in person. it's nice to learn something about a different kind of museum that you don't see everyday. I've always been fascinated by UFOs. This might be a good place to visit and to discern whether UFOs are real or not. wow, that's really interesting! my family and I would love to visit this kind of museum. That is SO cool. I would seriously LOVE to go there. How fun this would be! I will have to put this on my must-see travel list! Sounds and looked interesting who would not want to learned about the aliens or UFO. Looks so interesting and fun! Ill check it out if we are ever in the area! This is a great place. I live in New Mexico and have been to it. That's very intriguing! I would love to have a tour there. I remember watching this on the Travel Channel, I just can't recall the show. You'd better believe I'll stop by there if given the chance. That would be incredibly cool! This is really cool museum! I wanna visit there one day, I'm sure my husband would love it. I have to agree with Michelle as I have always been curious why we think that is the way beings living elsewhere in this vast Universe looks like that. This would be a very interesting tour for those who like this area of interest. Now this is a museum that I would definitely enjoy going to and so would my kids. Oh my goodness I so want to go here, this stuff fascinates me!! This looks like such a cool museum! The boys are always asking if aliens are real. It would be cool to take them to see this! UFOs are interesting. This looks like a fun museum. I would love to bring the kids there. My husband is pretty into UFOs, and this would actually be a really fun trip for us. Fun post! I'm so interested about aliens story, any mysterious like this, I wanna travel and visit there, it's so nice to be there. OMG! That looks like so much fun! I want to do a stop there too!